Manic: The manic stuff that comes with summertime. Damaged hair from chlorine. Frizzy hair when visiting a humid climate. Sunburn. Dry heels. Finding lots of dead critters in the bottom of your pool (always makes me sad & I hate scooping it out if no one else is home to do it). So many situations that come with summer. It is the season of fun, but the heat, the sun, kids home on break and more can result in all kinds of sticky situations. 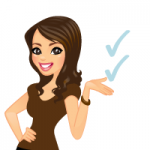 Managed: I found some smart solutions for all kinds of summertime situations. When I find stuff that works, I love to share, so look at these ideas to help make your summer go smoother. Summer Situation: Finding lots of dead critters in the bottom of your pool. Never fun to find, not fun to scoop up and sure is yucky to have that in your pool water. Summer Solution: Invented by a wildlife biologist, the innovative FrogLog mostly prevents this from happening. Once a frog, mouse, or other small animal fall into a pool, they instinctively swim toward the pool wall trying to escape. The animal will circle around the edge of the pool looking for a way out. The animal will bump into the FrogLog, climb onto the floating platform, up the mesh ramp, and exit the pool. 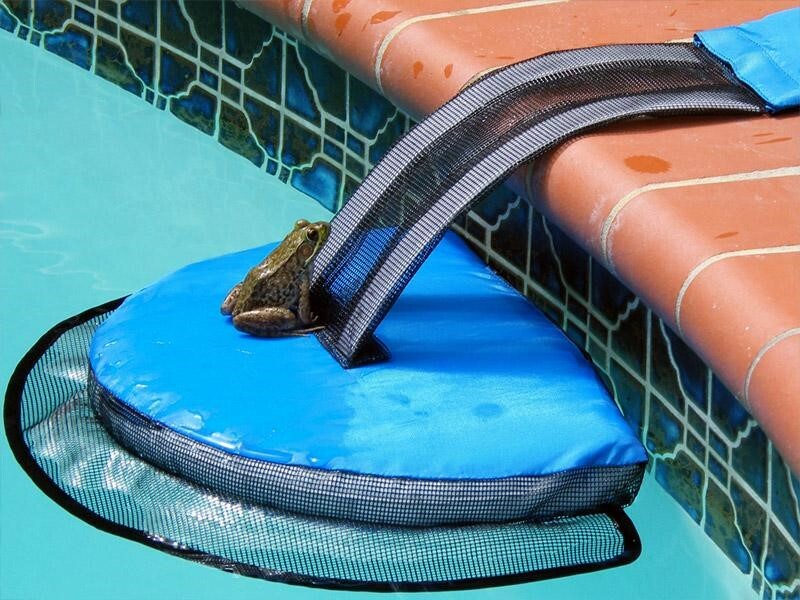 The FrogLog can be placed anywhere around the pool deck and offers a quick escape route for animals. Multiple FrogLog units can be placed around the pool to ensure animals escape quickly. 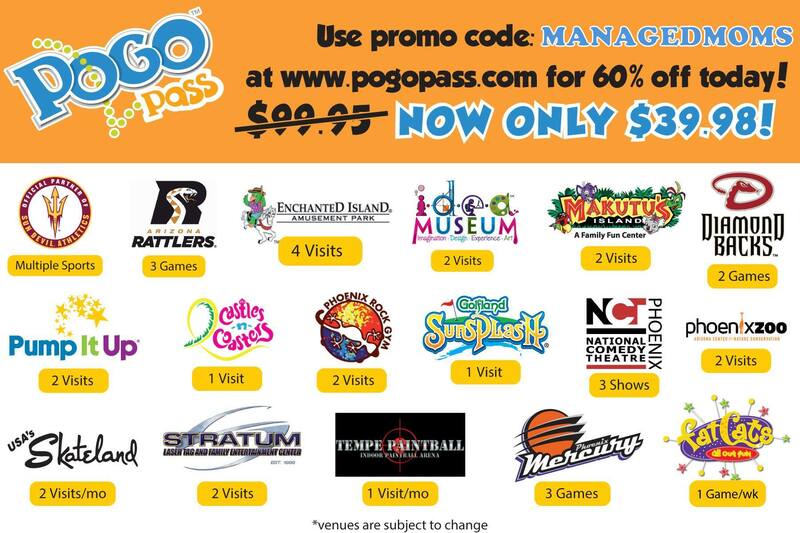 The FrogLog is sold at FrogLog for $22.99 each. Summer Situation: Stuck at the beach on vacation with no umbrella and cover from the sun. 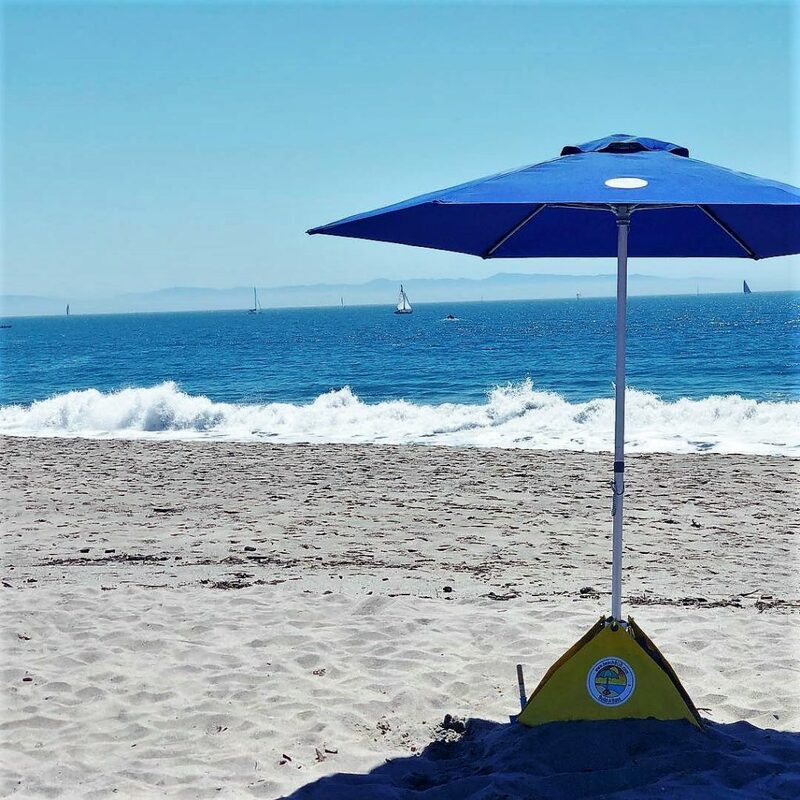 Solution: Buy the beachBUB’s All-In-One Beach Umbrella System that is lightweight, easy to set up, and it has a sun rating of 50+ UPF, so you, your friends and family will stay cool in the shade! The complete system comes with an umbrella, beachBUB Ultra Base, oversized carry bag, Sand Scoop Shovel, Towel Hook and Sand Gopher Tool. Look at this pretty picture of how it works that comes from the beachBUB website… It is easy to carry, weighs less than 10 pounds and has been tested to perform in winds up to 35 MPH, so no worries about the umbrella blowing away! 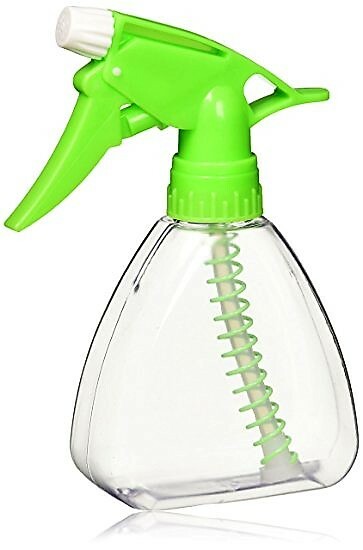 Available at www.beachBUB.com, Walmart.com, Amazon.com, Jet.com, Hayneedle.com, Wayfair.com, and QVC for $140. Summer Situation: Damaged hair due to chlorine. 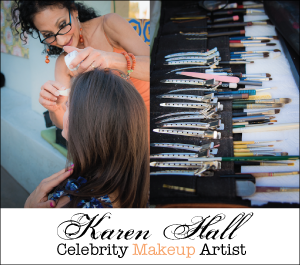 Summer Solution: This is one of my all-time favorite summertime solutions because it is free! To guard against chlorine damage to hair, brought on by months of swimming, use good ol’ H20. Before getting in the pool, wet hair first with a hose or spray bottle. Our hair acts like a sponge and quickly and fully absorbs chlorine chemicals, but if hair is already wet before entering the pool, it doesn’t absorb near as much. I love this tip because it is so simple and water is something free and easy that you already have on hand! 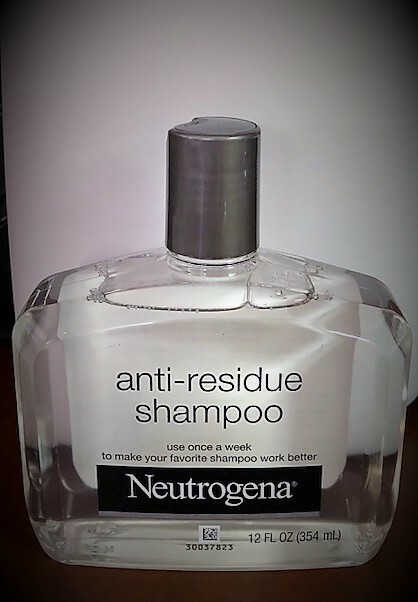 Also, my blog’s beauty expert, Bianca tells me that Neutrogena Anti-Residue Shampoo, that is made to be used weekly to remove residue from hair and styling products, also helps to remove chemicals from a lot of summer swimming. Available at Walgreens for $11.59. Summer Situation: Dry cracked heels from wearing flip flops constantly. Summer Solution: Funny name, great product…Toe Juice! I first discovered this stuff over five years ago at the drug store and I have been a fan ever since. After one of my friends read about it on my blog, she left a comment that she had silky smooth heels after pairing Toe Juice with a good pumice stone. I sure love getting feedback from my viewers who try stuff that I recommend! Toe Juice features DermaVine, a healing combination of plant-based extracts like lemon peel oil and willow bark extract, that work to heal all kinds of skin ailments. 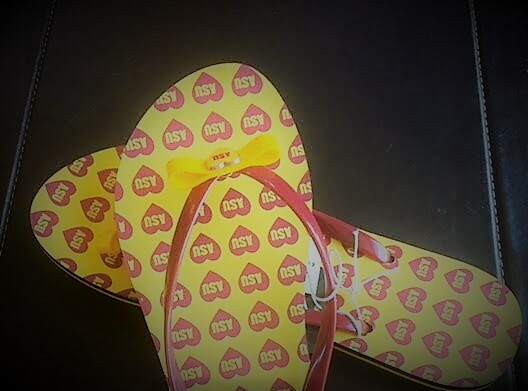 Developed by a high school chemistry teacher for his infant son’s cracked feet, this product works beautifully for the extra dry heels I get on my feet when I wear daily flip flops and high heels. Available at Walgreens for $11.59. Summer Situation: Fun in the sun…but with a big sunburn risk. 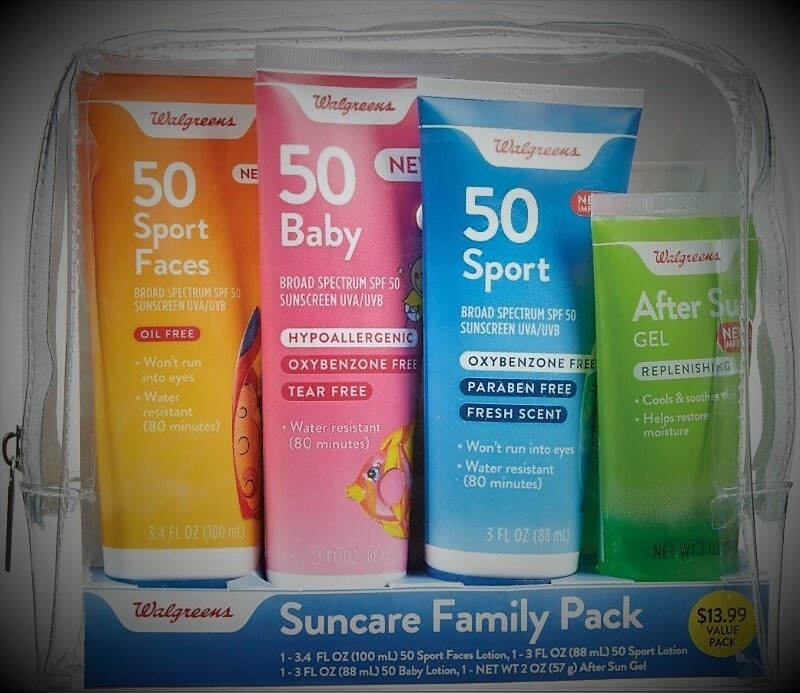 Summer Solution: Grab this all-in-one solution pack at Walgreens called the Suncare Family Pack. 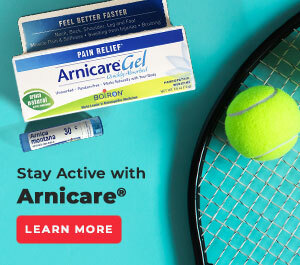 This pack has travel-sized SPF Broad Spectrum 50 Oil Free Sport Faces sunblock lotion that won’t run into the eyes and is water resistant for 80 minutes. The pack also includes a hypoallergenic SPF 50 baby Oxybenzone free and tear free sunscreen plus a 50 Sport paraben free UVA/UVB sunscreen and an After-Sun Gel Aloe Gel for aftercare. 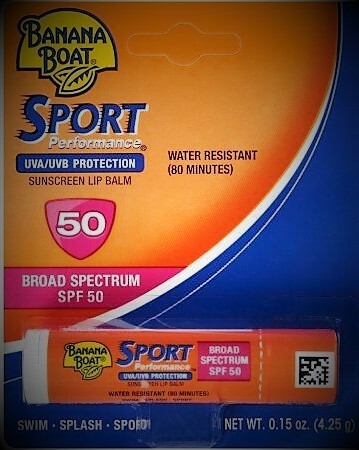 One thing the kit doesn’t include is UVA/UVB lip balm so I added the Banana Boat Broad Spectrum 50 Sport Performance lip balm to add to our family’s kit. 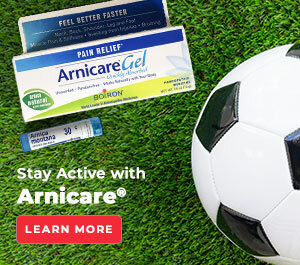 Grab this before you head outside to protect yourself and your family. The 4-product sun protection kit made by Walgreens costs $13.99 (a great price) and the lip balm sells for $2.29. Summer Situation: Humidity messes up your hairstyle when traveling to humid climates and/or at times during our monsoon season here in Phoenix. Summer Solution: Blog/beauty expert Bianca recommends TRESemme Firm Control All Day Humidity Resistance Hair Spray. I have always wondered which hair spray to use on a humid day to save my hairstyle and she says this is the one. Plus, it is sold at the drug store for easy access. I bought mine for $5.49 at Walgreens. 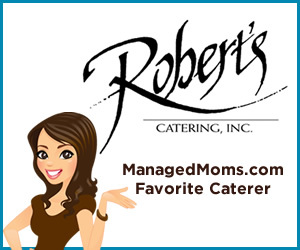 What are your favorite summertime solutions? Leave in the comments section and I wish you and your family happy safe summer days!